This book by Richard Powers took me by surprise. 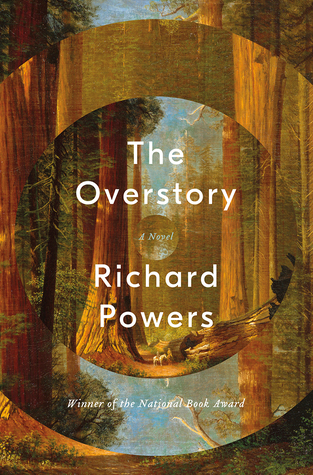 He’s an author I’ve been meaning to read for years, and although I wasn’t sure The Overstory was really the kind of book I’d like, I saw enough praise for it that I decided to give it a try. The opening section (titled “Roots”) initially didn’t allay my skepticism because each chapter seemed to exist in isolation. I was expecting a novel, not a 500-page story collection. But each story captured my interest. There’s a farmer who photographs the same chestnut tree each month, a tradition that continues through the generations as chestnuts are dying out everywhere else. There’s the computer programmer who falls out of a tree and loses the use of his legs, only to later become inspired by trees to create a virtual world. There’s a scientist whose ideas about tree intelligence make her a pariah in academia. Each person is touched in some way by trees. By the time the stories (mostly) came together in the second section (“Trunk”), I was hooked by Powers’ evocative writing, and the overarching story was almost immaterial, although I was glad that there were not as many strands to track as the opening section suggested. Although a few stories remain isolated, with only occasional references to the others, many of the stories converge when several characters become environmental activists who put their bodies on the line to save trees from deforestation. The final sections (“Crown” and “Seeds”) focus on the aftermath of their work. Not all of the character portraits are equally successful, and some, particularly that of the troubled couple Ray and Dorothy, could be removed neatly from the overall book, possibly creating a tighter and more cohesive novel overall. But, honestly, as I was reading, I enjoyed every part of the book. Besides being a powerful tribute to the vital place of trees in our ecosystem, it’s also a meditation on what it means to be alive in the world, what it means to live a live of value. It is sobering and frightening while also being inspiring and hopeful. Somehow, life finds a way. The question is, what place will humans have in that ongoing life? 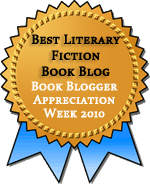 Interesting post: I’m not sure the book is for me, but your final paragraph is very compelling. Not quite related, though not totally unrelated: did you see the film Judi Dench made about her passion for trees? I have seen only the trailer but it looked kind of delightful. I was really surprised to find myself as taken with it as I was. And I haven’t even heard of that documentary. Will look it up! I’m keen to read this – The Time of Our Singing is one of my favourite books. He’s a wonderful writer. I was wondering which of his other books to consider next, so I’ll keep The Time of Our Singing in mind. Never heard of this book before, but I’m intrigued! The way the book is organized sounds rather unconventional, but it works? It does work, especially if you can get through the first section while retaining some memory of the various characters. Hoo boy, I loved this so much. Really glad it worked out for you. I second The Time Of Our Singing, which is on my shelf of books to be saved from fire, and is beautiful. Orfeo is the only other one of his that I’ve read, so far, but I love him. Your enthusiasm for Powers and this book in particular is one of the reasons I decided to try it! That would be a perfect place to read it. So glad people are reading this book. I loved it, though it made me feel bad about climate change and humans in general, in comparison with trees. By the end, I was ready to throw up my hands and say we should just leave it to the trees. They have it more together than we do!